Various organisations from the maritime industry as well as naval forces and other agencies have contributed to the recently launched fifth version of the Best Management Practices (BMP5), focussed on maritime security issues in the Indian Ocean. In addition, another document is supposed to provide guidance for companies, masters and seafarers when they are dealing with attacks against their vessels worldwide. BMP5 continues to strongly encourage ship operators to follow the self-protection advice contained within the document. 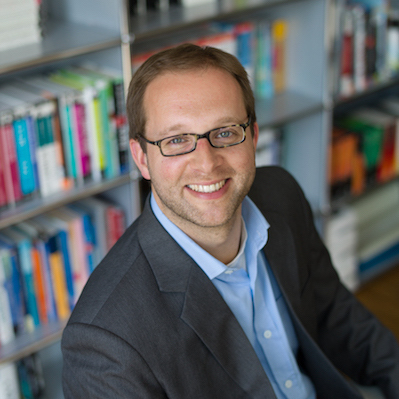 The advice is based on input from industry organisations such as BIMCO, Intercargo, Intertanko, OCIMF, the International Chamber of Shipping and several others. The maritime insurance industry has also contributed to the new guidance, similar to naval forces and other security agencies. 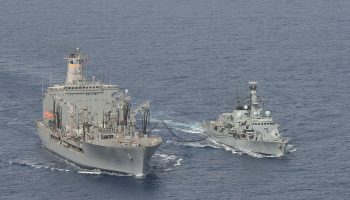 Both BMP5 and the new Global Counter Piracy Guidance documents can be found on various websites, including the new industry-led website www.maritimeglobalsecurity.org. This website is supposed to be a one-stop shop for companies and seafarers seeking guidance on a broad range of maritime security issues such as piracy, stowaways or smuggling. 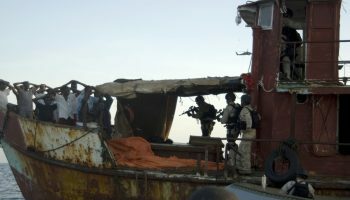 Piracy off the coast of Somalia has not been eradicated and remains a threat. Moreover, regional instability and armed conflict – notably in Yemen – have resulted in the deliberate targeting of ships by various groups using weapons such as anti-ship missiles or water-borne improvised explosive devices (WBIEDs). 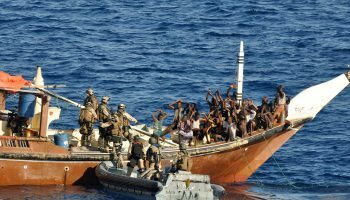 The European Union-led Operation Atalanta as well as naval forces from various countries around the world continue to patrol the Indian Ocean, providing a permanent presence to deter, prevent and repress piracy and other maritime security threats. In other parts of the world, regional naval forces often lack the capacities to provide a deterrent to attacks against merchant vessels. 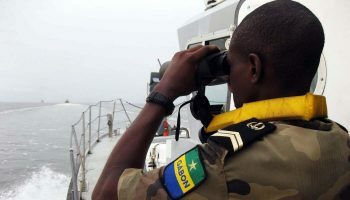 The Gulf of Guinea is currently the most prominent example as large numbers of attacks against ships have been reported in recent years off Nigeria and particularly off the Niger Delta. More information about threats against shipping in the Gulf of Guinea can be found here.